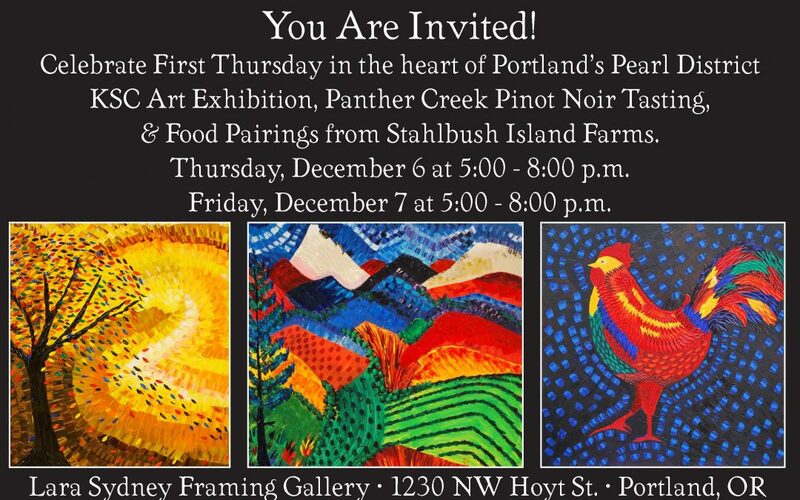 Every first Thursday of every month, local artisans and art lovers gather in Portland, Oregon’s Pearl District for a free night of art, wine, and food. All of the local shops and galleries open their doors late into the night in honor of the monthly event. Join us at the Lara Sydney Framing Gallery on December 6 and 7 from 5:00 p.m. to 8:00 p.m. Browse through the stunning fine art collection of Co-owner Karla S. Chambers. Sample Panther Creek Pinot Noirs, recently named one of Oregon’s Top Pinots. And enjoy food pairings from Stahlbush Island Farms. It’s an event that you won’t want to miss!